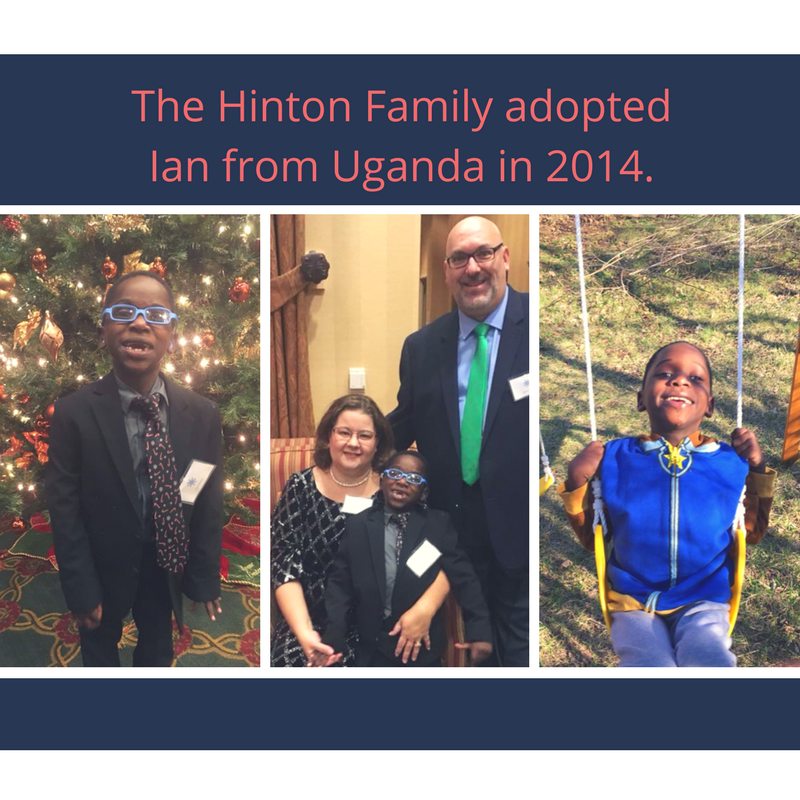 The Hinton Family wants to make sure that you are aware of the petition to the White House to save adoptions. If you haven’t already, please take time to sign it! Here’s how you can help! Go to adoption.com or saveadoptions.org and you will see a link to sign the petition. This only takes a minute or so. REMEMBER, you must check your email to verify your signature so it will be accepted. (1) You are concerned that inter-country adoption has declined over 80% since 2004. (2) To increase the number of adoptions, as long as ethical, pro-adoption leadership is needed in the U.S. State Department’s Adoption Division in the Office of Children’s Issues. (3) You oppose new fees and unreasonable rules being imposed on adoption service providers (ASP) and families by the U.S. State Department and their new accrediting entity, IAAME. These could cause some ASPs to close their doors. 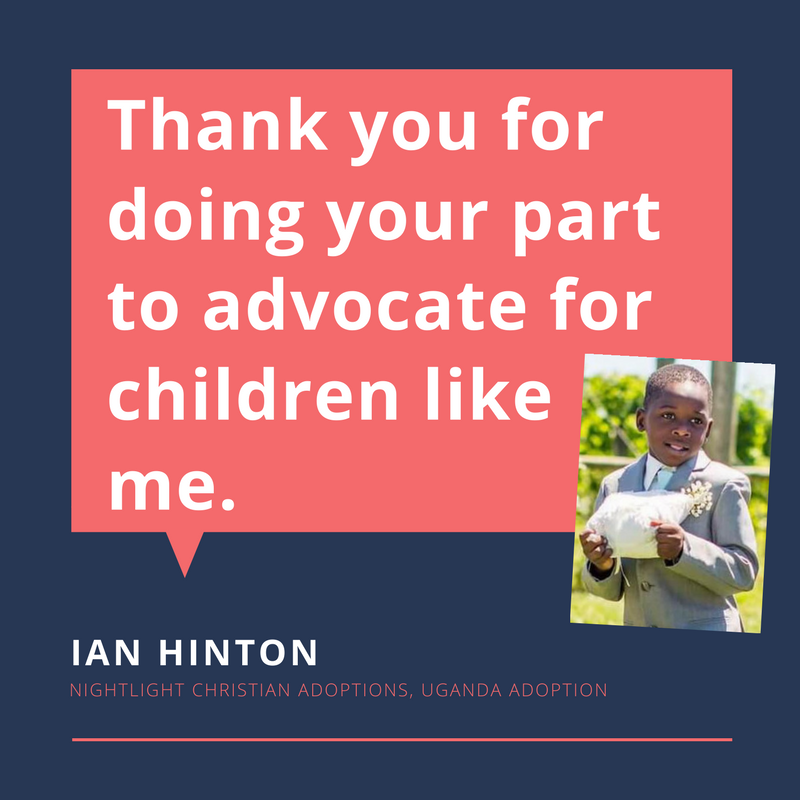 Join Nightlight, the Hinton Family, and other adoption advocates in doing your part to advocate for international adoption and all the children whose prospects of having a loving family are in jeopardy. 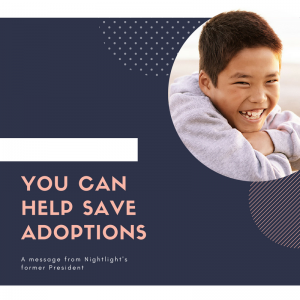 A message from the former President of Nightlight Christian Adoptions, Ronald Stoddart. I had the privilege to lead Nightlight Christian Adoptions from 2005 to 2013 and now serve on the Board of Directors. I tried, unsuccessfully, to retire in 2013, but decided to practice law part-time in my new home in Colorado. In 2016, I became active in the fight to Save Adoptions from the over-regulation and anti-adoption attitude of the State Department. In 1995, Nightlight was the first agency to sponsor an orphan tour to the United States when we brought a group of dancers and singers from Russia to perform in churches, concerts in the park, and Disneyland. That allowed us to find homes for more than 800 school age children from Russia who otherwise may not have had a family. 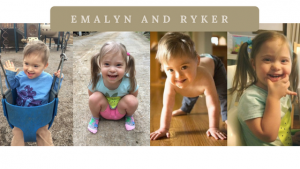 The State Department’s re-interpretation of the regulations threatens to stop photo-listings and hosting programs and diminish the chances of older children to be adopted. 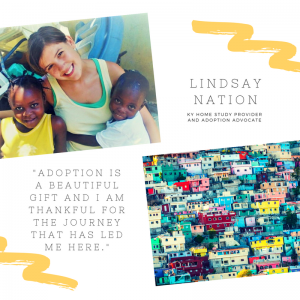 I’m sure you share my passion for every child to have a permanent family – and you know we are using every program available to do that (domestic, international, foster care and embryo adoption). 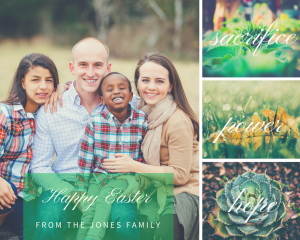 We need you to share that passion boldly with your family and friends. Ask you parents, siblings, spouse, and children over 13 to sign the petition. Send a personal message to friends asking them to sign – and to share it with their friends. And, be sure to remind everyone that they need to verify their e-mail address when they get the confirmation e-mail from the White House. 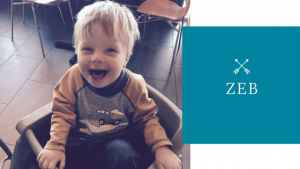 Thank you – YOU CAN MAKE A DIFFERENCE IN ONE MORE CHILD’S LIFE! As we welcome the first day of spring we enter the season for rebirth, growth, beauty, and all things new. 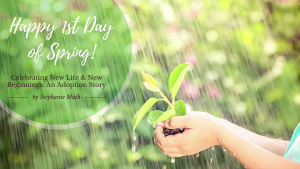 The journey of adoption brings hope and new beginnings to families and their child. 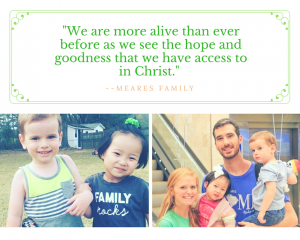 The Meares family recently brought their daughter Cana home from a small Eastern Asian country. At Cana’s farewell party, one of her caregivers gave a letter to Cana’s new family. Included in the letter were some verses written by Paul in Philippians. “Brothers and sisters, I do not consider myself yet to have taken hold of it. But one thing I do: Forgetting what is behind and straining toward what is ahead, I press on toward the goal to win the prize for which God has called me heavenward in Christ Jesus.” Philippians 3:13-14. The caregiver then went on to explain that Cana’s life had turned a page now. 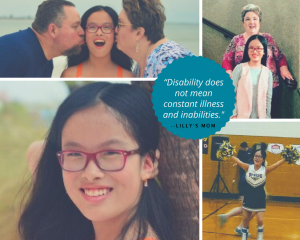 Though her story started with pain and hardship, she now has a forever family to walk alongside her. The letter encouraged Cana to press on toward Christ in the new life that she has been given. Cana is not the only one who has been given this new life with a forever family though. When children are adopted, they often have had trauma in their lives that can affect many aspects of their lives, with eating being one of them. In fact, nearly 80% of children with developmental issues also have feeding issues. 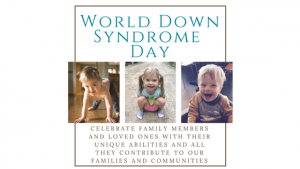 So it is no wonder that our children who are adopted, who are often developmentally delayed and have experienced many issues, such as bottle propping as infants and then given mushy and limited number of foods often have eating problems. These issues do not just apply to internationally adopted children but can be seen in children who have been in foster-care. If your child was adopted from foster care, she may be normal weight, but she may have been deprived of certain foods, given lots of snack foods, and may not have been provided any structure around meal time. On the other hand, if your child is from an orphanage, he may have had overly structured meal times and had to consume limited amounts of food very quickly. In the book Love Me Feed Me: The Adoptive Parent’s Guide to Ending the Worry About Weight, Picky Eating, Power Struggles and More , Katja Rowell, a medical doctor, does not so much provide nutritional goals for the adopted child but she explains the best ways to establish a positive relationship between you and your child. Food and dietary habits can become an integral part of what Dr. Rowell call the Trust Model for establishing attachment with your child. This Trust Model helps to provide nurture as well as means of establishing healthy eating habits in your child. You may be asking, “But what about my other kids who have not had difficult starts in life? How am I going to make meal time different for all my children? As with any positive attachment and trust model, this model can be used with all children. This Trust Model promotes shared power: you the parent determine when, where and what your child will eat, and your child gets to determine if and how much to eat based on what foods are there. This allows you to decide on what nutritional foods your child can select from and where and when your child will eat, but the child gets to decide on what food to select from and how much to eat. Now, of course, an infant, who has nearly all the power when it comes to feeding, decides the when, where and how much to eat; you, the parent, just decide on what milk to give her. The Trust Model gives children the structure that they need as they know what to expect. And as with feeding a baby, sometimes you must take your cues from your child. For example, younger children need to be fed more often, so they will ask for snacks more often in-between meals. If your child is malnourished, you may need to offer your child food more often until you get to know your child’s signals as to when he is hungry. Feeding your child with the family helps your child see others eating, sets a model of portions, and to be able to know when he is hungry and full. At meal time, it is best to have different types of foods at the table—especially those that your child likes based on taste and texture—so that your child can have familiar foods as well as try new foods in a non-coercive setting. Giving your child a snack—in the afternoon—or perhaps two snacks—can help a child who gets cranky in the afternoon waiting for dinner to feel more relaxed and content Do not be concerned with a “ruined appetite” before dinner. Your child may eat less at meal time, but as long as the snacks provide healthful foods, your child will get the nutrients he needs. Simple but practical solutions for children who come from difficult pasts can help solve food and meal time problems. However, some children, especially those with medical and sensory problems, may require more therapeutic assistance. Often an occupational therapist (OT) is the first professional who may become involved, as the OT usually assesses sensory and gross and fine motor skills and the child’s ability to feed herself. A registered dietitian (RD) may assess the child’s nutritional intake and growth patterns and if more serious steps must be taken, such as tube feedings, are necessary. As with any type of professional who is going to provide advice and some counseling, certain factors must be taken into consideration. A mental health counselor would be involved to assess the parents’ and child’s interactions surrounding food and may also assess attachment issues. The counselor would also work closely with the other professionals such as an OT and RD. If you, as a parent, are having major food issues with your child, your child’s pediatrician may not give the advice you need, unless your pediatrician is very familiar with adopted children’s needs. Instead, you may need to consult with a pediatrician at an international clinic for a referral to a feeding clinic or OT. If you feel that your child is growing steadily but there are still major issues surrounding eating issues, then you may want to consult with a counselor who has experience with adoption and attachment issues and can help you use trust based approaches in helping you and your child with behavioral issues surrounding food. If your child is having eating issues and may also have sensory and other issues related to motor skills, then the counselor and OT need to be working together. The approach needs to be parent focused as adopted children need to be attaching to their parents—not separated from them. How do you help the parents integrate the skills at home? What resources do you suggest? Children who have had difficult starts in life had little control in their lives and often feel shame. So any approach that takes away power from a child (instead of offering shared power with the parent) or shames a child into eating often leads to more problems. Bad formal therapy is worse than no therapy. But good therapy need not be formal–it can be done by the parents if the parents can take cues from the child. The parent can trust the child to do the eating while the child trusts the parent to be “there” for him and builds upon the relationship. 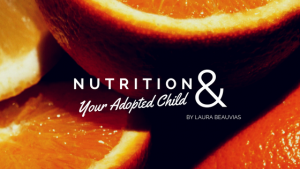 http://adoptionnutrition.org/ This website provides information related to the nutritional needs of adopted children—even by country—as well as addresses some feeding issues such as hoarding and children who will not eat. 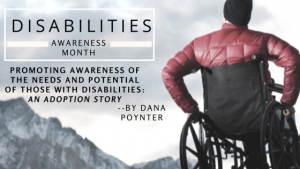 http://mealtimenotions.com/ This site offers stories, articles and information regarding the feeding and nutritional needs of children with special physical and sensory issues. Snack-play-love https://www.adoptionlearningpartners.org/catalog/downloads/snack-play-love-presentation.cfm Karyn Purvis, a developmental psychologist who is an expert on attachment in adoptive families, covers in this PowerPoint behavioral issues related to nutrition and eating habits among adopted children. My husband and I became foster parents after only having been married a year and a half. We were in our late twenties and had no biological children. After working with kids in foster care in our professions, going through the home study process, talking with other foster families, and completing the 14+ hours of training required we thought we were somewhat well prepared. Looking back on it now 12 years later however, I see that we were so naive and clueless. Our first placement was a teenage boy who we parented for a year and a half. Our next placement came in 2007 with a 3 year old and 6 month old- two boys who we would foster for three years and eventually have the honor of adopting in 2010. We kept up all of the state-mandated training hours for the years we had our foster license. Some trainings were good… some not so much. We did the best we could in those early years to lead with compassion and to address hard behaviors in the best ways we knew how. Our young, starry-eyed selves thought that love would be enough to repair the past our children had endured, but time after time we were left feeling depleted and desperate realizing that it wasn’t enough. In the past five years since I began working at Nightlight I have learned so much that would have helped me in those early years. I have learned to look beyond the behaviors into what is underneath. I have learned that past trauma can cause real changes in a child’s brain development. I have learned that traditional strategies in parenting a child with a history of abuse, neglect, trauma, prenatal exposure, and chronic stress will not be effective. These kids need more. They need us, as their caregivers, to be trauma-informed. They need us to look past the behaviors and focus on connection. They deserve to know that they are valued and worth fighting for. Below is a list of resources that I would give to my 28 year old self before any child entered my home. Start reading, listening, and learning about how to help bring true healing to the children in your care. Keep educating yourself after they come into your home. I have thought countless times that “I wish I knew then what I know now…” there are so many things I would have handled better. I realize though, that it’s never too late. There are still so many things that we have not yet walked through with our kids that we will handle better because of the ways we work to continue educating ourselves. These are some of the best tools that I’ve found that have transformed the way that we parent. I hope they will help, encourage, and empower you as you care for the children God entrusts you with. The links for all resources are in the titles. I Love You Rituals by Becky Bailey *** This book has more than seventy rhymes and games that you can incorporate into daily activities with children 0-8 years old. They are wonderful for creating moments of connection and building attachment. Love Me, Feed Me: The Adoptive Parent’s Guide to Ending the Worry About Weight, Picky Eating, Power Struggles and More by Katja Rowell *** This relationship-building, practical guide to help foster and adoptive families enjoy family meals and raise children who eat a variety of foods and grow to have the body that is right for them. Grounded in science, but made real with the often heart-breaking and inspiring words of parents who have been there, Dr. Rowell helps readers understand and address feeding challenges, from simple picky eating to entrenched food obsession, oral motor and developmental delays, “feeding clinic failures,” and more. Follow this link to a popular foster/adoption blog “Confessions of an Adoptive Parent” for a fantastic list of can’t miss podcasts for foster and adoptive parents. 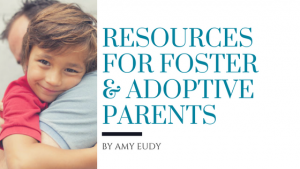 We also recommend Creating a Family which has a huge library of podcasts on various topics related to foster parenting, adoption, and infertility. Empowered to Connect– The Empowered to Connect Conference is a two-day event presented by Show Hope and the Karyn Purvis Institute of Child Development. It offers practical teaching in a safe and supportive community and is meant to equip families, churches, and professionals to better serve children impacted by adoption and foster care. The Empowered to Connect conference is coming up and we encourage all of our families to go if they can! It is being offered April 13-14th and you can experience this conference by attending the live event in Oswego, IL or by attending a live simulcast at a location near you! CAFO– The Christian Alliance for Orphans Summit is an annual conference that inspires and equips the Church to care for orphans and vulnerable children with wisdom-guided love. Last year’s conference drew over 2,000 foster and adoptive parents, orphan advocates, pastors and professionals from 30 countries. This year’s conference will be held in Frisco, Texas on May 9- 11, 2018. This Free, printable foster care binder to help you organize- this will help create a space for you to easily organize information for any child based in your home such as doctor’s appointments, medications administered, court hearings, visitations, etc. This is a great article about what to do on your child’s first day home to help them feel comfortable and safe. Your local churches! 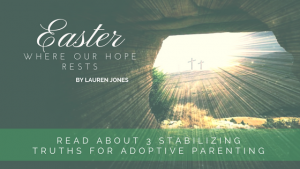 The local churches in our area have really stepped up in so many ways to serve foster families. There are churches in our community that offer support groups, a monthly parents’ night out, training, and resources such as clothes, books, toys, and furniture for families when they receive a new placement. Make some phone calls to local churches to see if they have a foster/adoption ministry. 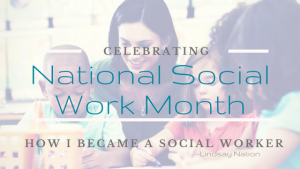 In honor of National Social Work Month, one of our social workers, Lindsay, is sharing more about what led her to pursue a career in social work. “I am often asked how I got into the world of social work or why I decided to pursue social work as my profession. My answer to that question is usually a variation of the same statement: “I don’t know.” Growing up, I am not sure that I even knew what a social worker was or what the field entailed. When I graduated high school, I was accepted into a university that two of my closest friends were also attending. As the time grew closer to move-in and orientation, I had a feeling come over me that this was not what I was supposed to do. I had recently returned from a mission trip to Haiti, a country I had traveled to and fell in love with multiple times over the previous four years. I felt like God was calling me to go back to Haiti and serve, rather than start my freshman year of college. I nervously told my parents, my two best friends and my extended family, who were all supportive. I spent the next few months working and raising money to fund my trip and then set off to Haiti in February of that year. I spent the next six months serving at an organization that ran orphanages, a maternity center, elderly care facility, schools and a clinic. During my time in Haiti I spent a lot of time caring for orphans and children that had been abandoned because of poverty or due to cultural beliefs regarding their special need. I saw the great physical needs that exist in Haiti throughout this time. Did you know that Nightlight is not just involved in adoption but also family reunification? This sometimes happens in our US foster care programs and also in our orphanages oversees. Whenever it is possible for a child to be raised safely in their biological family, we champion that! 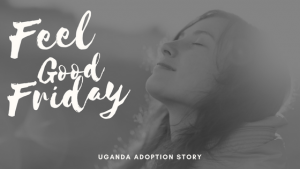 Here is one such story from Ken and Cathy, directors of Tender Hearts Baby Home in Uganda. 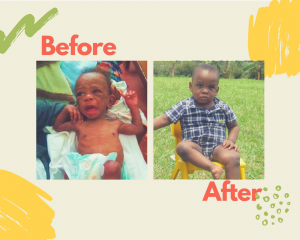 “David was rescued by concerned neighbors after being abused and neglected by his mother and maternal grandmother. They claimed he was demon possessed and did not deserve to live. He was only 7 months old. We placed him on nutritional care. He has grown to be a sweet and healthy boy. He was a darling to many in the home, in spite of him being very timid around strangers. We were finally able to reunite David with his paternal grandparents. 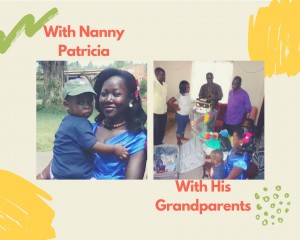 They were very excited to receive him and for all the love and care we had given to their grandson. Even though we miss him already, we are forever grateful that he is home with his family.